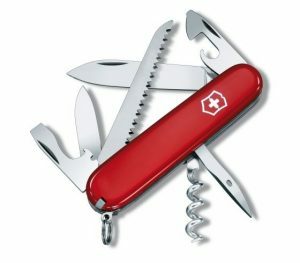 Submit your manuscript for editing by the end of September 2018 to receive an original Swiss VICTORINOX® premium pocket knife as a special gift from EDIQO *. The pocket knife is a perfect companion to your summer outings, and can be used as a knife, (wine) bottle opener, tin opener or screwdriver. Reclaim your gift here. (Note: if you do not have access to Google, please e-mail your full postal address and Task ID to support@ediqo.com). * The offer is limited to one knife per person who orders services through www.ediqo.com from 1st May to 30th September 2018. The offer is not combinable with other promotions or discounts. Research Matters is the official blog of EDIQO Editing. At EDIQO we offer premium English editing, copy editing and publication support services to assist researchers in preparing and submitting manuscripts for publication in the world’s leading journals. Ask Ediqo: Should I use punctuation in equations? Ask Ediqo: How can I find and access free versions of scientific papers? Get updates from our blog, writing tips and other author resources to your inbox. Receive a 25 USD voucher as a thank you. Ask Ediqo is a collection of questions and answers from our community on a range of publishing topics. If you have a question you would like to ask, use our form.